Although more is sometimes better, in the case of chins this is definitely not the case. 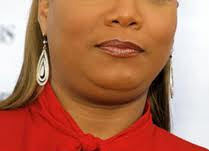 A double chin is very aging, and although it could be a symptom of being overweight in general, most people find double chin problems begin in their mid to late thirties. Or see below for a selection of double chin exercises on YouTube. There are many facial exercises for a double chin, but rather than listing a whole bunch of double chin exercises here that might be hard to remember or execute, I have provided the three types of double chin exercise I personally have found to be most beneficial. As well as performing the double chin exercises, be sure to also do facial exercises for jowls to further help tighten the muscles of the lower face. If I could only do one double chin exercise, then this exercise is the one I would choose. It can be performed anywhere, usually even if other people are around. It is completely “hands free” which are my preferred type of face exercises, as you can do them while performing other more interesting tasks such as when working on the computer, reading, or even when you are driving. With your mouth closed, but relaxed, curl your tongue back toward your throat. try to do this without touching the tip of the tongue to the back of the tongue. Hold the pose for at least 30 seconds, while exerting as much force as possible. Keep the rest of the face as relaxed as you can, especially around the eye area. Alternatively, hold the pose for 5 seconds, relax, and repeat 10 times. When your tongue is as far back as it will go, if you place a hand under your chin or along your jaw line, you will notice the muscles are taut. Try to do the exercise at least twice a day for fast results. The following chin exercise is from the excellent massage and facial exercise book Joseph’s Corvo’s Zone Therapy, with a slight adaption I introduced myself. 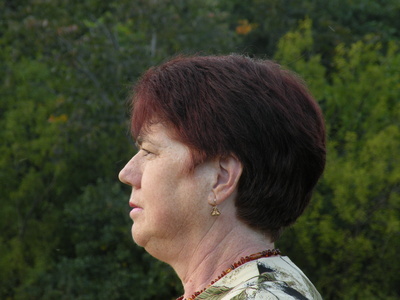 Allow your head to sit naturally on the center of your shoulders and look straight ahead. Place the palm of your hand on your forehead. Attempt to bring your head down, while exerting strong resistance with your hand. When the tip of your chin touches your chest, position your hand on the back of your head between the crown and nape of your neck. Force your head to return to it’s normal position, while pushing strongly against it with your hand. In addition, you can use my adaption and move the head from side to side while creating resistance with your hands placed just above your ears. You can see how effective the chin toner is by placing your free hand underneath your chin while performing the exercise. You will feel the muscle is tight and firm. A third facial exercise to reduce a double chin that I believe to be super-effective is from Juliette Kando’s “Natural Facelift”. This double chin exercise can be done before you even get up in the morning, which makes it one of my preferred exercises, as it doesn’t take time away from other tasks you need to perform during the day. Lie on your bed (or a sofa) and allow your head to dangle over the edge. Slowly raise your head until your chin touches your chest; hold for a few seconds and gradually lower it again to the starting position. Repeat at least ten times daily. When you feel your muscles growing stronger and find the exercise easy, increase the number of repetitions. TIP: For faster results, combine the tongue Double Chin Exercise with the neck lift. It is unlikely you will be able to perform 10 reps the first time, so start with whatever you can do, and increase by one rep a day. Once you get to 30 reps a day, your double chin will very much be a thing of the past.